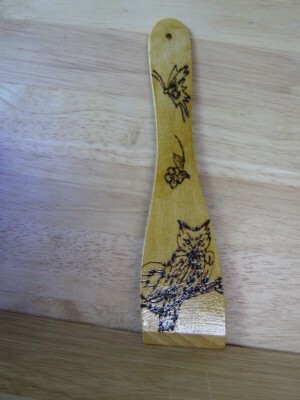 This is a very prettily decorated spatula. It has an owl, butterfly and flower burnt in. It has been varnished so is really for display purposes only.